Marvel Contest of Champions is, in all honesty, simply something that I’ve been waiting for a long, long time. From the days of Mortal Kombat and Dead or Alive on the PlayStation, this genre has been a favourite – begin the round; punch, kick and combo-attack your way to victory. The only downside in those games? No Ironman or Hulk. Then came the X-men games, several updates to the MK universe, the DoA engines, and the Tekken Series 1vs1 fight games that added that extra bit of charm to your console game collection. However, being the Marvel universe fan that I think myself to be, this genre did feel a little incomplete as the earlier games using Marvel heroes didn’t really explore all the varied characters that featured in the Marvel Universe. When Marvel Contest of Champions was released, I had sort-of mentally pictured another game that pretends to be console quality with a lousy storyline, and bad graphics and interface that was laggy and quite resource heavy. Install the game, and the truth could not be any further than what I’d thought. The initial installation is quite small (about 40 MB) and the game runs online. The graphical interface is actually quite interestingly done. The game features a campaign/story mode, an additional campaign mode that seems to follow the slew of Marvel character movies hitting theatres these days, and of course, the popular online skirmish session. The controls are pretty simple; tap the screen for a light attack, swipe right for medium attack, swipe left to dodge, tap and hold on the left to block, and tap-hold-and-swipe to launch a heavy attack. 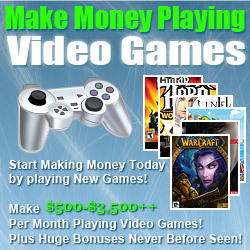 The artwork is quite interesting and the gameplay features quite detailed artwork. 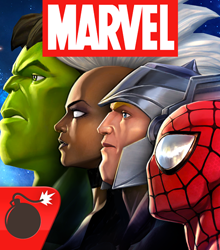 The campaign mode follows the Collector’s storyline, where he “collects” the Marvel Universe heroes for his personal arena. You are a character called the Summoner, who is constantly at odds with the typically villainy Kang, and both of you are battling for the control of the Isosphere, a device that the Collector hold which can ‘collect’ any hero that he chooses. The game offers a long, interestingly varied story line, and the online PvP arena is also quite interesting with ranked matching and an interesting amount of options on offer. Say goodbye to a good few weekends if you are really into this sort of thing. 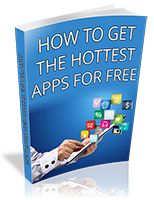 The app is free to download on both Appstores, and offers in app purchases. The app runs on devices running Android 4.0 and up, and iOS7 and up.